Ferry operator MyFerryLink has commissioned an infographic designed to help you plan your next "booze cruise". Ferry operator MyFerryLink has commissioned an infographic designed to help people plan a "booze cruise". The Dover to Calais route has long been a popular route for people stocking up on affordable wines and with the economy still the way it is this can be a very attractive option for families on a budget. Besides, it can be a fun day trip for the kids too if you decide to do more than visit the hypermarkets on the continent. Have a read through this beautifully designed infographic called the "Ultimate Guide to a Calais Wine Trip" and see how affordable such a trip could be. This infographic explains the basic maths required to work out whether it is worthwhile going on such a day trip. Factor in a child or two and there's less capacity for wine but you could still have a fun day out exploring Northern France. There's plenty to explore in the region and the excellent road links from the French port meaning day-tripping to Lille, Dunkirk or Rouen are all a possibility. Travelling to another country is also very feasible, with Bruges and Ghent in Belgium under around 1½ hours drive from the port of Calais. 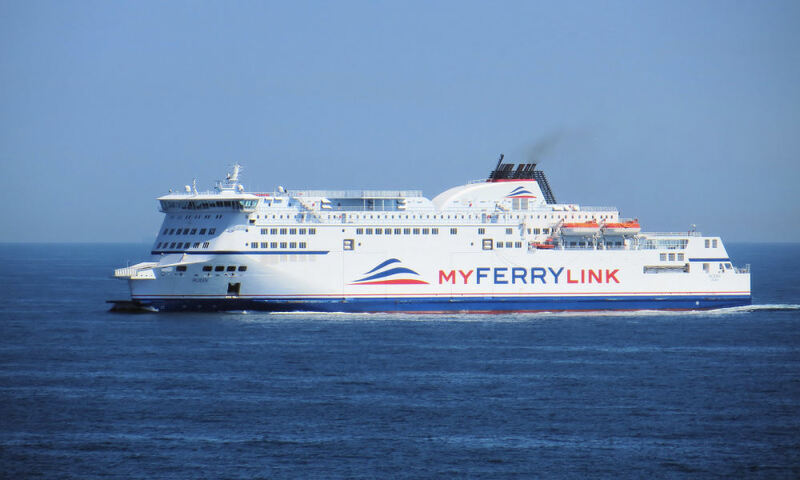 You can book a ferry sailing from Dover to Calais. Take a look at the HMRC website for tax and duty restrictions on products you may bring back with you from the EU.